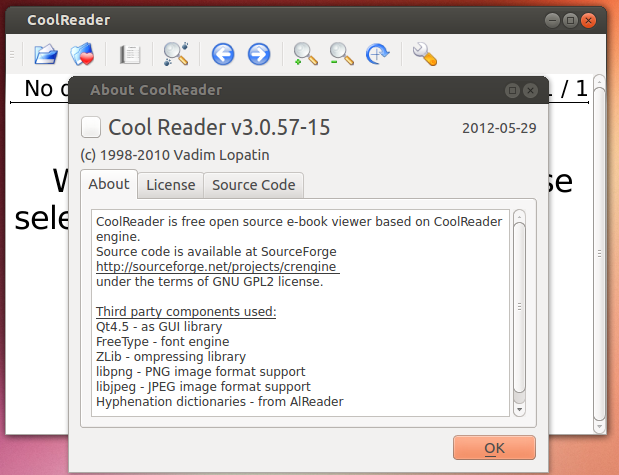 CoolReader is fast and small cross-platform XML/CSS based E-Book reader for desktops and handheld devices. Supported formats: FB2, TXT, RTF, DOC, TCR, HTML, EPUB, CHM, PDB, MOBI. Platforms: Win32, Linux, Android. Ported on some eInk based devices. You may need to run sudo apt-get -f install to fix dependency problem. 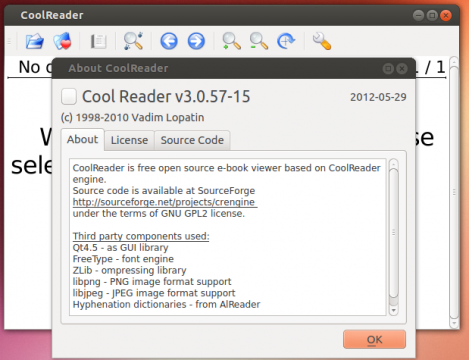 No user responded in " Install Cool Reader 3 on Ubuntu 13.04, 12.10 "